Feeling cold during these last days of winter? Rain getting you down? 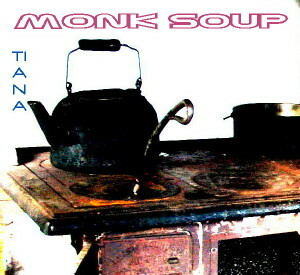 Have a listen to Monk Soup, my most recent (complete) song. “Soup” because it sounds like the rain pelting your window, and the sucking mud on your boots as you trudge through the wild trails. “Monk”, well because of the bells, what else? Or maybe it’s because I feel like I’m stuck inside, contemplating life, on these dark days, and praying for the spring sun to arrive. What do you think? Finally, a new song for you. I have been improvising a lot the last few months, getting new ideas, and never finishing them enough to post. This song is the latest idea and I decided to let it remain quite simple and quickly post it. 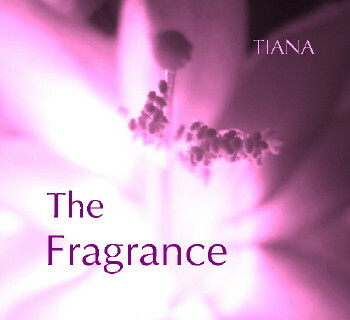 “The Fragrance” is a meditative cinematic journey, a song to listen to with headphones, with eyes closed, lying down, relaxed. At least that’s how I like to listen to it. Go to my “Songs” page or use the link to Reverbnation to listen to it. Enjoy and let me know what you think of it. Last fall I entered a contest with Nightingale Music. This is the film clip of penguins that they wanted people to write music for. I have just added more instruments, faded out the location sound, and remastered my composition. It was hard to find a good sound for these critters, as it’s not a clip with specific emotions or dramatic action. So, does my music add any feeling for you when you watch it? 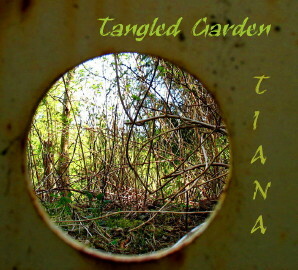 Cover art by Tiana Kaczor for song "Tangled Garden"
“Tangled Garden” is Tiana’s New Year’s present to you. You can download it for free on her Reverbnation site. Last fall I wrote several piano compositions. It seemed that every time I sat down at my acoustic piano a new melody came up and I had to run upstairs to my studio, turn on my computer, hit record, and then try to play the melody again on my keyboard. I feel many can stand on their own as solo piano pieces, but I also wanted to see what I could do with adding a little orchestration. It is an improvisation, a musical idea. The vision I got while playing it was of a garden, tangled and overgrown, waiting to be tended and loved. The photo I’ve used for the cover art is from when I was in Bella Bella. This was a lovely walk in the forest near a salmon stream, that unfortunately had a lot of garbage dumped in one spot. 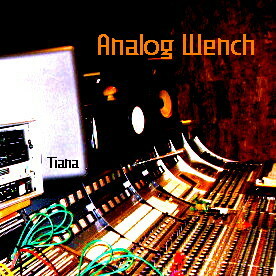 Well it’s not such a new song, but it’s the latest I completed and uploaded to my sites a few weeks ago. At that time I didn’t have time to promote it fully because I was busy writing the film clip score for the Nightingale contest and doing some home renovations. So if you haven’t had a listen yet, please do, and let me know what you think. It’s long, but I like my keyboard slide at the end so I hope it keeps your interest for the full 7 minutes. Comments I’ve had so far have been great. Thanks! I recently found out that I am #6 out of 313 on Reverbnation’s band charts for the category of “Other” for the area including southwestern BC and it seems at least northwestern Washington State. Sign up as a fan, if you’re not already, and hopefully I’ll reach #1! Awhile ago I responded to an email call out for volunteers to help Sarah MacDougall with a video for her song “Cry Wolf”. I met my friend Chris for brunch in Gastown, and then we headed into an alley to do our silent acting in the mini crowd scenes. Great song, and fun video. At the time it seemed hard to dance without music, but as seen here, it worked!